Ik-Hyun Seo is experienced in both US and South Korean IP litigation and prosecution matters and represents a broad range of clients, from high-tech companies to luxury and fashion companies. His detailed knowledge of the similarities and differences between these two jurisdictions has been a valuable asset when advising foreign clients on effective IP management and enforcement strategies in South Korea. Mr Seo is recognised as a leading individual in the IP sector in the Asia-Pacific Legal 500 (2001-2016), a leading lawyer by Asia Law & Practice (2004-2019) and a highly recommended attorney for intellectual property by PLC (2005-2012). He is a member of WIPO’s Arbitration and Mediation Centre’s domain name panel, and also serves on the editorial board of Managing Intellectual Property. 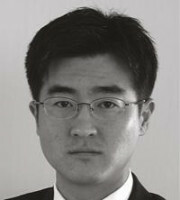 He also serves as regional counsel for a number of multinational clients with IP programmes in Asia.